Summer is just around the corner, and I have plenty of events coming up – three holidays, my graduation and two weddings – all of which I have to find some gorgeous dresses for. After stumbling across Maje, a brand I’d not previously heard of, I fell in love with four fabulous dresses that would be just perfect. The downside? They’re pretty far out of my price range, and I can’t afford a single one. The upside? 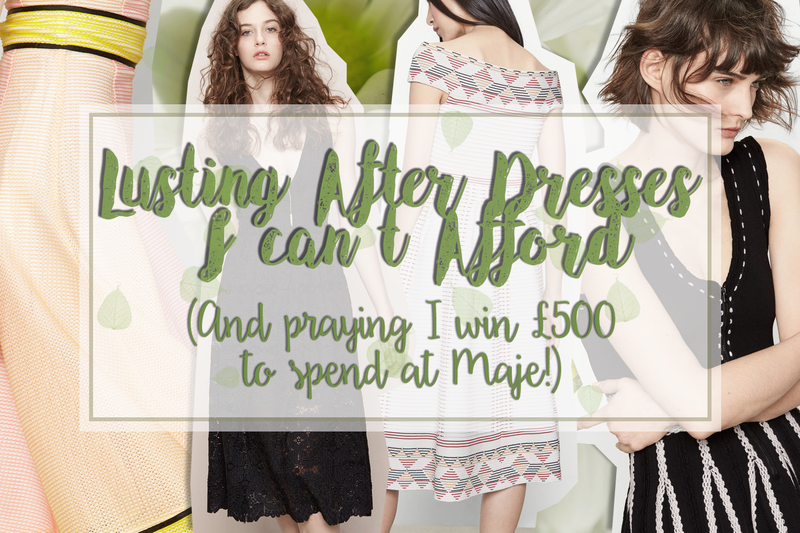 Maje happen to be running a competition to win £500 to spend. Yes please! Click here if you would like to enter the competition too! Next Post So, I didn’t follow you back on Twitter?